I am going to rave about Indie Teepee, even though I’m not a social butterfly. I initially found out about Indie Teepee through one of the designers that I follow on social media. I went to shop, but it was delightful that it is not the focal point of the event. Even though it is just one sim, it feels much bigger, and the shopping area is hidden underwater in a very nice under-the-sea themed area. Just as SL is a home to so many people from all walks of life, Indie Teepee aims to be the roof under which these same people may discover, enjoy and appreciate the diversity and creativity that could only previously be experienced in the real world. The Indie Teepee HUD gave me a fest bag that includes this cute Festival Pass. According to the Indie Teepee calendar, there is a Speed Dating event tomorrow. That sounds fun! There’s also live performances, theater, workshops, art installations, fashion shows, etc. There’s so much packed into this event, I’m super impressed. I hope to see more events like this in SL, instead of the usual shopping lag fest. It’s great that there is shopping, but the shopping is more like a gift shop, not the focus. I found some super cute stuff too – but I’m saving that for another post! Check out these gorgeous Urban Eyes from Lotus. Not at Indie Teepee, it’s actually at The Hidden Chapter (part of Chapter 4). To find The Hidden Chapter, when you land at Chapter 4, turn around and walk straight into the black hole. Big thanks to the creator of Lotus for telling me how to find this very well hidden spot! I love these eyes! I may have played the gacha way too many times, and still didn’t get the exact color that I wanted. 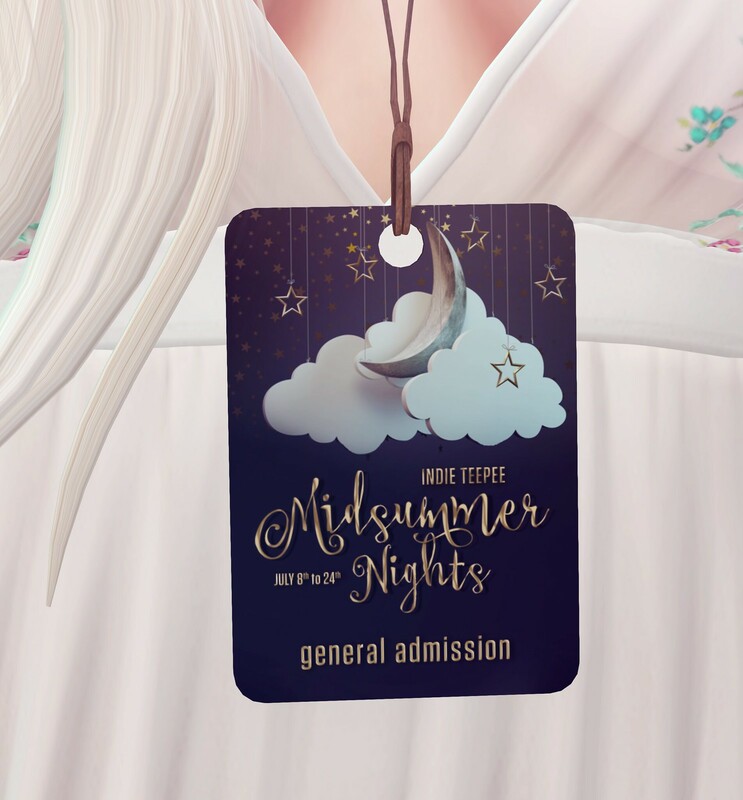 /EDIT: So apparently I am wearing last year’s pass/HUD from Indie Teepee. I had NO idea! The event gave me the 2016 HUD when I tp’d there, so I just assumed they decided to use the same items. What skin and head are you wearing? You look so lovely!